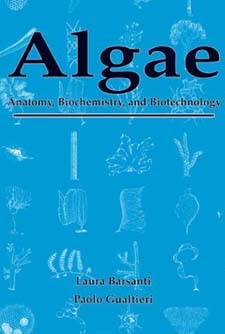 Algae: Anatomy, Biochemistry, and Biotechnology is written and designed for those with a general scientific background. Algae: Anatomy, Biochemistry, and Biotechnology covers freshwater, marine, and terrestrial forms. Its early chapters present an overview of the classification of the algae; these chapters are followed by reviews of life cycles, reproductions, and phylogeny, providing a conceptual framework that promotes a deeper understanding of more complex topics. Levels of organization are examined from the subcellular, cellular, and morphological standpoints, leading to discussions involving physiology, biochemistry, culture methods, and finally, the role of algae in human society. New findings are provided to demonstrate that the world of algae is still ripe with discovery. Presents an overview of the classification of the algae along with the details necessary to build a coherent conceptual framework.